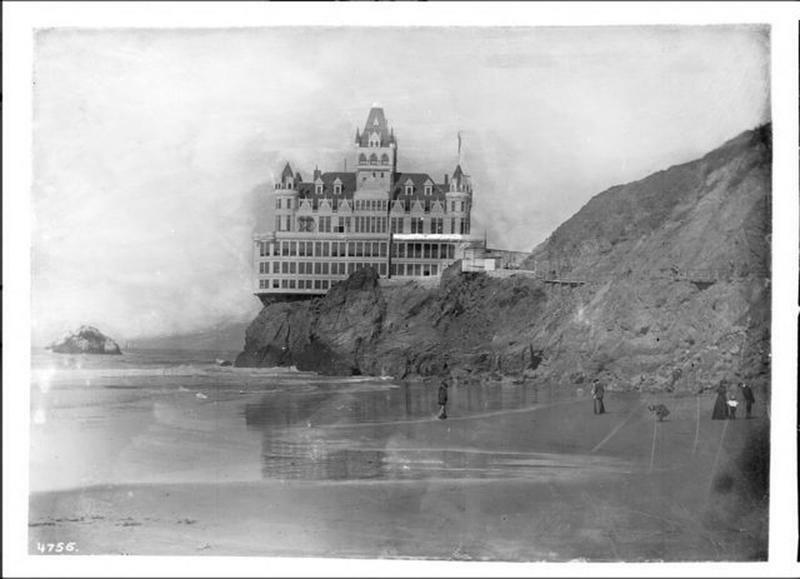 The Cliff House was originally built by Senator John Buckley and C. C. Butler in 1863. In the beginning, getting there was very costly as it was located on the rocky hills of Land’s End that is overlooking the Pacific Ocean. Eventually, a road called Point Lobos Avenue was constructed to enable a stage coach to bring guests from San Francisco. Now, this became an exclusive resort for wealthy visitors like the U.S. Presidents and the Hearst family. During late 1870s, the resort began losing money and tolerated gambling and alcohol to attract new patrons. Unfortunately, the new customers were of different caliber from what the resort was accustomed to, and so the once respectable Cliff House was now considered indecent. 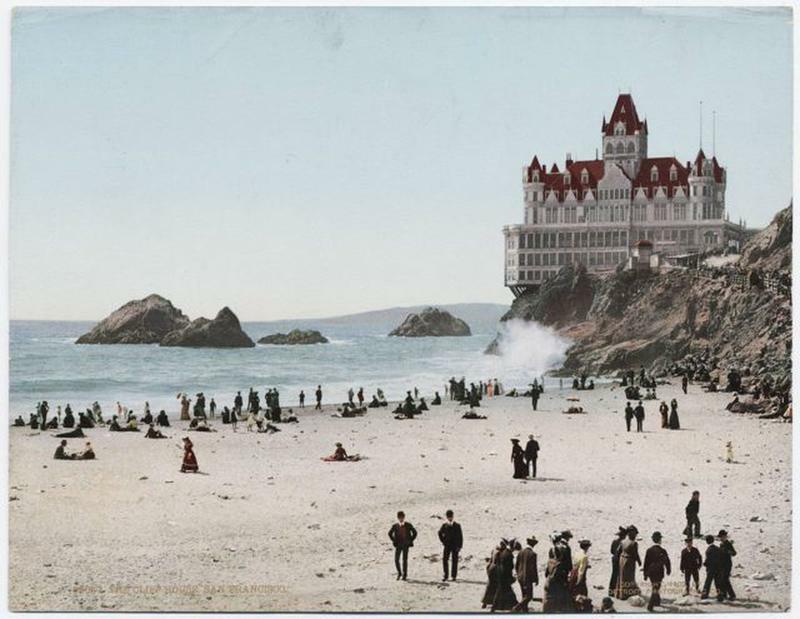 Adolph Sutro, the eventual mayor of San Francisco, bought the resort in 1883. He started renovations and employed new staff with the intention of restoring the Cliff House back to its respectable family-oriented setting. Sutro also authorized a railroad to boost accessibility. However, Sutro was unlucky managing it himself, so he leased the resort to a wholesale liquor company, Sroufe and McCrum. 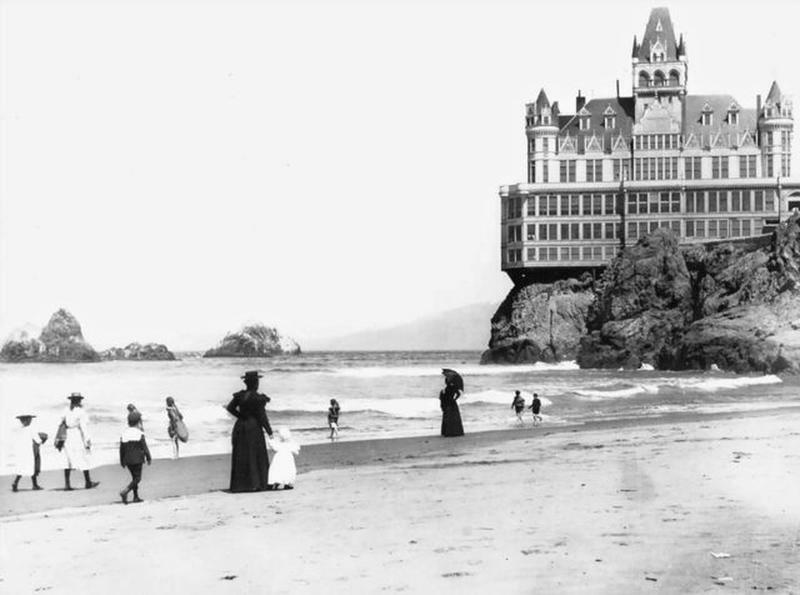 Then again by 1885, it was leased out to J. M. Wilkins along with instructions to interest families back to the Cliff House. In 1887, when the schooner Parallel ran aground the resort, and a load of dynamite aboard the ship exploded, it wrecked the north wing of the building. 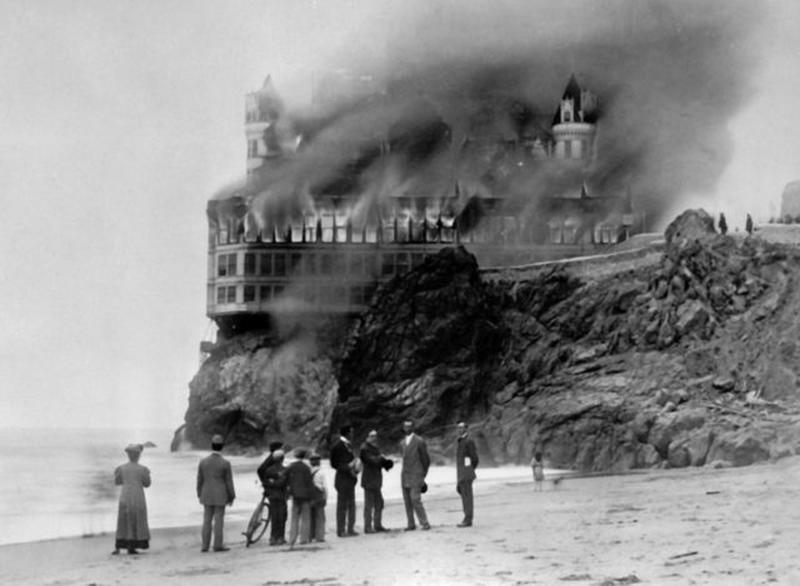 Although the damage was repaired and the Cliff House became operational until Christmas day in 1894, it ceased when a chimney fire suddenly destroyed the entire building. 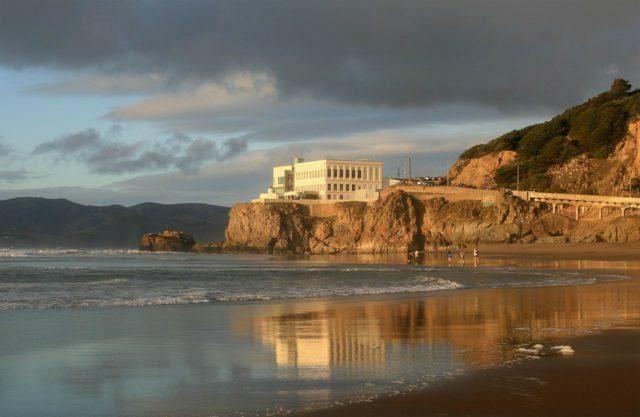 Spending $75,000, Sutro rebuilt the Cliff House to construct a replica of a French Chateau. The venue reopened and was functional in February 1896. Guests could really take advantage of the added attraction that is the observation tower built 200 feet above sea level and looking out over the Pacific Ocean. Extending to eight floors, this new resort consisted of a photography studio, an art gallery, some restaurants, available reception rooms for lease, a gem exhibit, many private dining rooms, and bars. 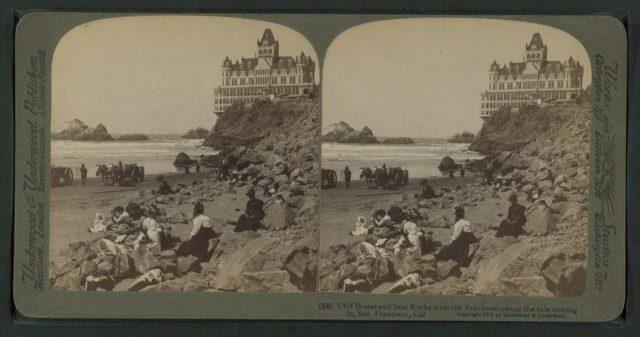 The Cliff house returned to its previously glorious status as a locale for the upper class, hosting Presidents Teddy Roosevelt and William McKinley as well as the residents. 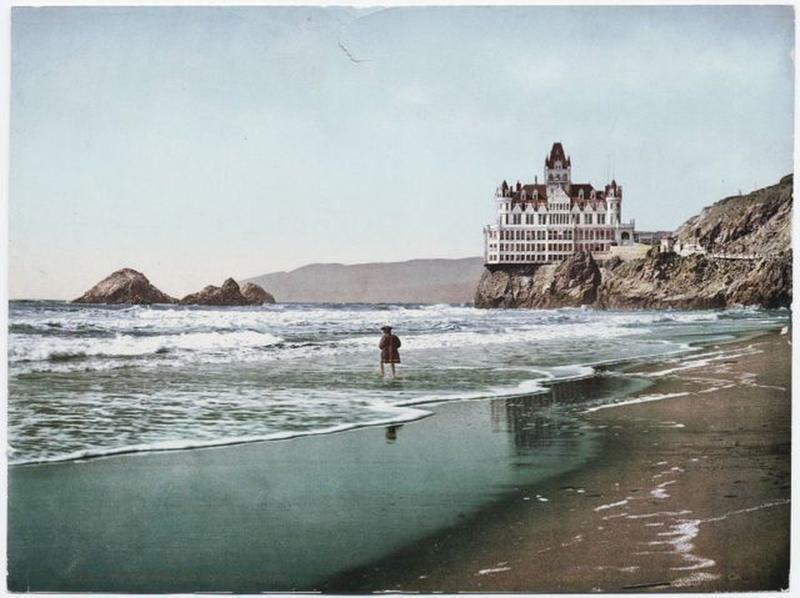 In 1898, when Adolph Sutro passed away, the resort was again leased out to John Tait. Fortunately, it survived the 1906 San Francisco earthquake and was scheduled to resume operations in September of 1907. Sadly it caught fire again and was completely destroyed. Sutro’s daughter, Emma Sutro Merritt, took over the property in 1908. She began renovations with fireproof concrete and steel. Although it was a much smaller building, it blended in with the landscape rather than offsetting the ocean view. In 1909, the house reopened still catering to the affluent. The resort’s patronage fell during Prohibition, and eventually closed in 1925. It was then sold to George and Leo Whitney who were the owners of a nearby amusement park. 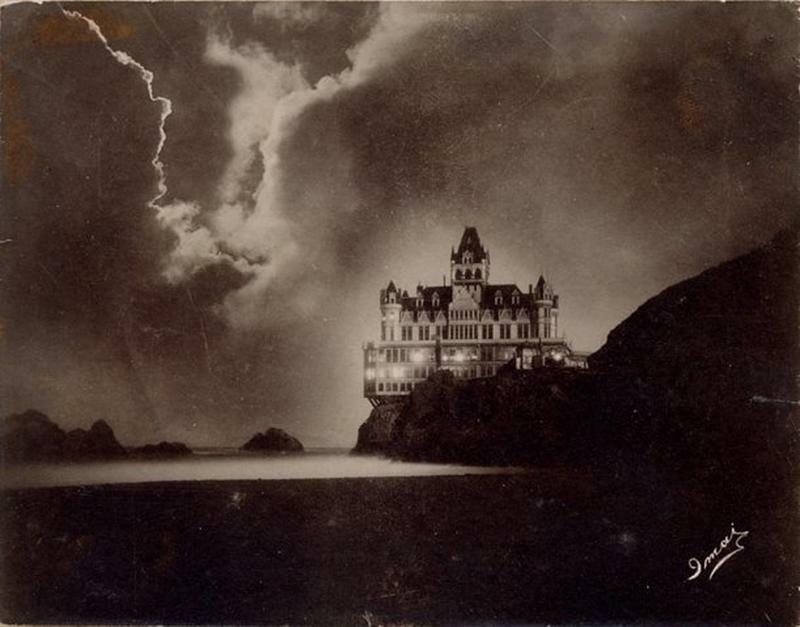 Again, the Cliff house was remodeled and re-opened in 1938, and operation continued until the Golden Gate National Recreation Area bought the Cliff House in 1977. 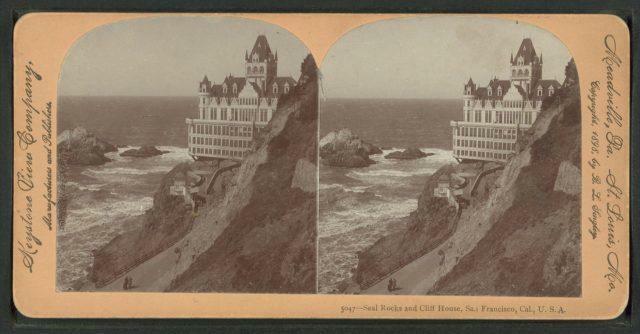 The Cliff House, now located at 1090 Point Lobos Avenue, was renovated to the 1909 design with incredible modern skylights and a new wing named after Adolph Sutro. Dan and Mary Hountalas who are presently managing the resort, have been running it steadily for the past thirty-five years. They offer fine dining, a stylish bistro, and a few party rooms. Reservations for Sutro’s restaurant are accepted, as well as the Sunday all-you-can-eat-and-drink champagne brunch buffet in the Terrace Room. The Bistro always has the first come first served policy. Presently, the Cliff House is very popular among local residents for holiday parties and wedding reception and also to those who just want to relax and enjoy the very beautiful ocean scenery through the floor to ceiling windows that are featured in Sutro’s restaurant.